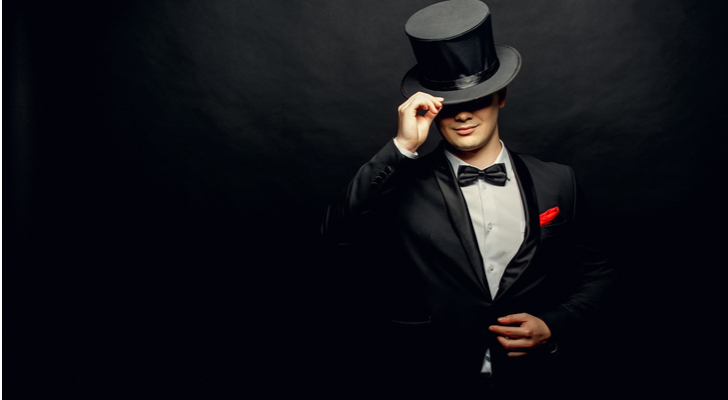 Many investors are drawn to the consistency of dividend aristocrats. These stocks, called “aristocrats” because they have increased their dividend every year for at least 25 years, have earned the confidence of income-oriented investors, many of whom trade the prospect of growth for the steady payout. Moreover, the increases perpetuate themselves, as no corporate management team wants to end a decades-long streak of dividend growth. However, many dividend investors also want to see stock price growth. Fortunately, a few of these companies have seen stock price increases despite the pressure to continuously deliver increased payouts. These eight stocks offer the best of both worlds. Not only is AFLAC Incorporated (NYSE:AFL) the key to meeting short-term expenses in a crunch, it also serves as a path forward for long-term growth and dividends. 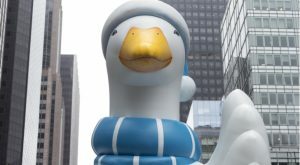 Best known for its ads with the Aflac duck, the company earns its revenues by providing short-term disability insurance. Although one would not know it from the commercials, the company enjoys a dominant position in Japan. The ads are in place to help the company catch up in its home market. This year, AFL increased its quarterly dividend from 45 cents per share per quarter to 52 cents, a yield of about 2%. With this increase, AFLAC has now raised its dividend 35 years in a row. Furthermore, the stock has enjoyed a steady move higher since 2009. At that time, AFL stock had briefly fallen below $5.50 per share. Today, AFL trades near 52-week highs, trading in the $46 per share range. Despite, the increasing price, the stock trades at a forward price-to-earnings (P/E) ratio of about 12. Analysts expect profits to see a growth rate in the mid-single digits. Since the company usually beats analyst projections, that should bode well for the potential to appreciate in value. Oil has recovered from lows in 2016, and Chevron Corporation (NYSE:CVX) finds itself well-positioned to benefit. Since CVX participates in multiple segments of the oil business, it took less of a hit from the price slump of a few years ago. As I mentioned in an earlier article, the oil giant has nearly returned to the all-time highs it saw at the height of the last oil boom in 2014. CVX slid three months ago as it became caught up in a correction. It has now recovered most of that loss. Higher oil prices have helped the exploration and production side of its business. Despite this growth, its forward P/E stands at around 20. And unlike its larger peer Exxon Mobil Corporation (NYSE:XOM), it has enjoyed consistent stock price growth. Analysts have forecasted profit growth in the mid-single digits for the next two years. This dividend aristocrat pays a quarterly dividend of $1.12 per share, producing a yield of around 3.5%. This increase for 2018 marks the 31st year that CVX has increased its payout. Investors should also note that this payout increased at the height of the oil slump in 2016. With oil prices poised to keep moving higher and a dividend that has proven itself safe through downturns, investors should do well in the long-term with CVX in good times and bad. Conditions only seem to improve for General Dynamics Corporation (NYSE:GD). The Falls Church, Virginia-based defense contractor will reap the benefits of increased defense spending from the Donald Trump Administration. 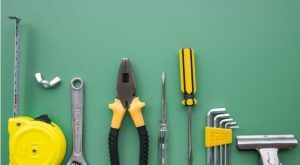 Moreover, with geopolitical tensions running high in the Middle East and East Asia, the government’s reliance on contractors like GD will remain heavy. In fact, the stock spent several years near its 2009 lows. However, when Middle East tensions started rising in Obama’s second term, the GD stock price started rising along with those tensions. Since that occurred in 2013, General Dynamics stock has tripled in value. Despite the massive increase, GD trades at a forward P/E of about 19. Although this stands as a historically high P/E for GD, analysts expect double-digit profit increases over the next two years. Hence, stock price growth is well-positioned to continue. Moreover, the confidence in GD’s future shows in the recent dividend increase. It raised its quarterly dividend from 84 cents to 93 cents per share this year, an 11% increase. That brings the yield to about 1.6%. With its 26th consecutive dividend increase, GD achieved dividend aristocrat status last year. Growth-minded investors typically do not focus on the industry in which Illinois Tool Works (NYSE:ITW) operates. As a broad-range manufacturer, it escapes the attention afforded companies working in newer technologies. However, ITW operates more than 85 divisions in over 50 countries. So, while the company’s name or its industry may not excite investors, its results should. The stock consistently beats analyst estimates. Earnings came in 12 cents ahead of expectations in the last quarter. ITW stock has enjoyed a steady rate of increase since its 2009 lows. At around $143 per share, it trades at about 18.5 forward earnings. Analyst expectations for earnings growth are predicted to be at least in the high-single digits. ITW should also see double-digit growth in 2018. In 2017, ITW’s board approved a 54th consecutive annual increase for the dividend. ITW raised its quarterly dividend to 78 cents per share. The company had previously paid 65 cents per share, so this move up marks a 20% increase. For a company that wants to keep increasing its record of gains, this move infers a high level of confidence. Also, at 2.1%, this dividend remains slightly above S&P 500 averages. 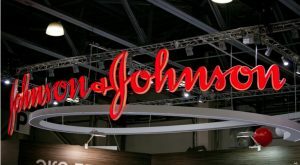 Of all of the thousands of stocks that have traded in the American stock market, few names have garnered more respect over more decades than Johnson & Johnson (NYSE:JNJ). Along with Microsoft Corporation (NASDAQ:MSFT), JNJ is one of two companies to currently hold a AAA credit rating. Since its founding in the late 19th century, its consumer products have become a staple in most American households. However, most of JNJ’s profit growth comes from drug and medical device sales. Though arguably more of a dividend than a growth play, the stock at one point tripled from its 2009 lows. It has plateaued since seeing a correction of about 15% in January. With that move downward, the stock trades at just under 16 times forward earnings. Also, the stock still manages to achieve high-single-digit profit growth in most years. JNJ recently announced it would pay a 90-cent-per-share quarterly dividend, an increase from 84 cents per share in the last quarter. This increase also marks 55 years of consecutive dividend increases for the company. The hike takes the JNJ dividend yield to around 2.8%, well above S&P averages. 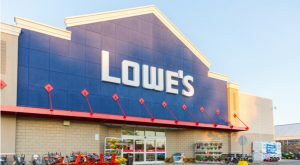 Lowe’s Companies, Inc. (NYSE:LOW) has grown into the second-largest home improvement retailer. With over 2,100 stores in North America, LOW along with its archrival Home Depot Inc (NYSE:HD) have come to dominate this segment of the retail landscape in North America. LOW traded as low as $13 per share during the 2009 lows. The stock has seen a brutal correction since hitting a high of almost $109 per share last January. Trade and inflation concerns weighed as the company has lagged the growth rate of HD. However, now that CEO Robert Niblick is stepping down, the prospects for LOW catching up on growth have improved. Also, this change in management could make the stock’s price drop a buying opportunity. Today, its forward P/E has fallen to around 15. Analysts predict double-digit profit growth each year over the next three years. LOW has enjoyed 55 straight years of dividend increases. Its last increase came last summer when the company declared a 41-cent-per-share quarterly dividend. Currently, its dividend yield stands at around 2%. Like all dividend aristocrats, the stock’s value relies heavily on retaining this title. All of these conditions create both the opportunity and necessity to drive the price of LOW stock higher. 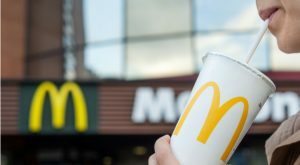 The stock of McDonald’s Corporation (NYSE:MCD) rides high as its most recent earnings beat took the stock higher by over 5%. As one of the most recognized brands in the world, it now serves billions of meals in over 37,000 restaurants spread across 120 countries. When a company operates in most of the world’s nations, increasing same-store sales becomes more critical. MCD is doing just that. This reach has translated into slow but steady stock price growth. MCD stock has more than tripled since the 2009 lows. Despite evolving consumer tastes, McDonald’s has been able to maintain growth. Even with all this growth, the stock now trades at about 21 times forward earnings. While not one of the cheaper dividend aristocrats, the stock is poised for double-digit profit growth over the next two years. Trading just above $165 per share now, many believe it will reach $200 per share in the near term. MCD’s dividend increases occur late in the year. Its 2017 increase took the quarterly dividend to $1.01 per share, a 7.4% increase from 2016 levels. That hike marked 41 years of increases. Despite its long track record, its dividend yield currently stands at just under 2.5%. Hence, new investors can buy now and still beat the S&P 500 on yield. 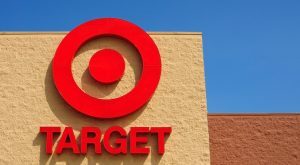 Target Corporation (NYSE:TGT) has started recovering following the competitive threat from Amazon.com, Inc. (NASDAQ:AMZN) striking fear across the traditional retail sector. TGT has responded with its own e-commerce strategy as well as a delivery program for groceries and other items. Beginning in 2016, fears of Amazon dominance took Target stock off the growth trajectory it had seen since 2009. This created a buying opportunity across most retail stocks, including TGT. Now that fears have subsided, the stock has started moving higher again. Even with the move higher, the forward P/E stands at under 14 times earnings. Other peers such as Walmart Inc (NYSE:WMT) have recovered from the AMZN onslaught. Walmart’s P/E has now risen to 28. TGT could likely reach the same valuation level as it further recovers. Its 2017 dividend increase took TGT stock to 46 straight annual increases for its dividend. The quarterly dividend today stands at 62 cents per share. This translates into a dividend yield of about 3.4%. This also compares well to WMT (who is not a dividend aristocrat). Their dividend yield stands at around 2.4%. Article printed from InvestorPlace Media, https://investorplace.com/2018/04/8-dividend-aristocrats-stock-price-growth/.